The DOODLES, DESIGNS, and aRT of CHRISTOPHER BURDETT: Kickstarter Roundup - Flegal, Sass, Seaman, and Walpole! Kickstarter Roundup - Flegal, Sass, Seaman, and Walpole! Today on the blog I wanted to point out some current Kickstarter projects by friends of mine that I think you all might be interested it. Most of these have just begun or have a while still to go and at least two of them are already funded. All of these campaigns feature amazing art by awesome people and if you have not already checked them out, you should do so NOW! 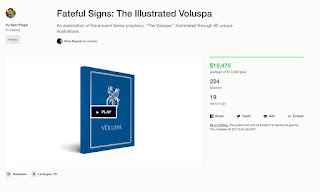 First up is Sam Flegal's Fateful Signs: The Illustrated Voluspa. I shared with you Sam's Fateful Signs: The Illustrated Havamal Kickstarter from last year which I was really excited about. I am even more excited about his new book in the series. The art looks to be even better, the book looks to be even better, and Sam is really hitting his stride with his Fateful Signs work. I can not speak highly enough about this Sam's work and I strongly urge you to be a part of this campaign. Even if you missed his first book, you can still get one through the current campaign! 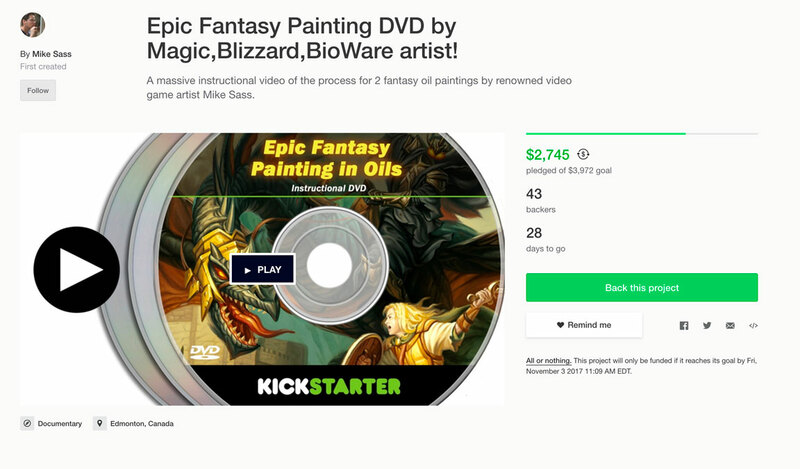 Second is Mike Sass's Epic Fantasy Painting DVD. Mike is a great guy with a gorgeous painting style and he has worked on a ton of great projects producing beautiful art. This DVD covers his entire painting process and goes into a lot of detail on how we approaches a painting. From drawing, shooting reference, color theory, and painting process and technique this 5.5 hour DVD tutorial is a must for students and aspiring artists. 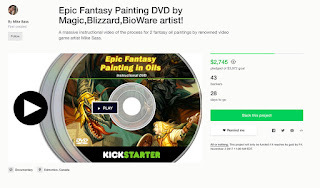 Even veteran artists that are making the transistion to oils can learn a lot from Mike's DVD. I urge you to go check out the campaign and support Mike's efforts! Third is Chris Seaman's Cameo Creeps Set III. Again, I have shared Chris's previous Cameo CreepsKickstarter here on the blog. I love Chris's work and we own three Cameo Creeps originals as part of our art collection. 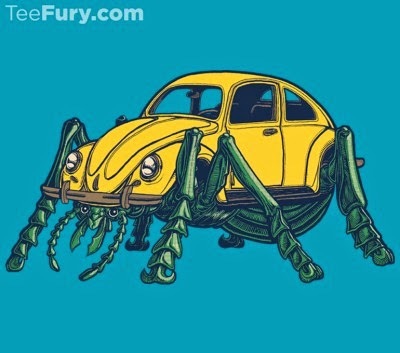 Chris is building up an amazing empire of original monsters and I STRONGLY urge you to take the time to head over and see what Chris is doing if you are unfamiliar with his work. Cameo Creeps is only going to get bigger and better so you don't want to miss out on the new Creeps. Earlier sets are sold out, so you need to act fast! 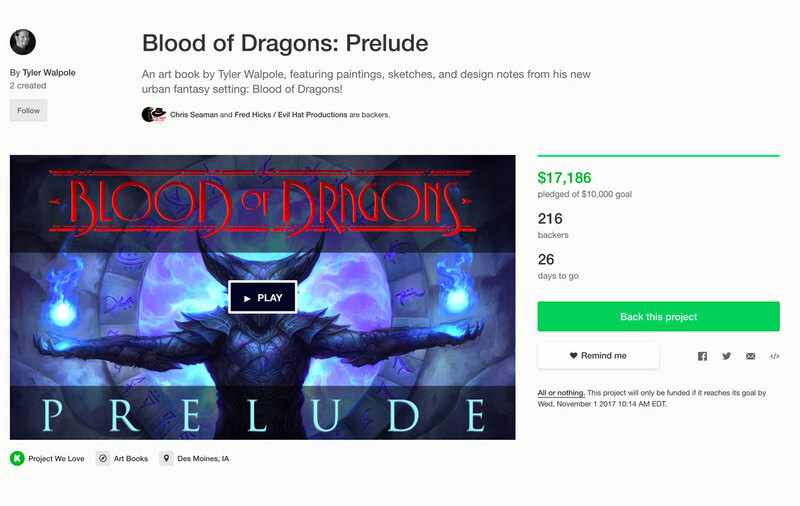 Last, but not least, is Tyler Walpole's Blood of the Dragons: Prelude. 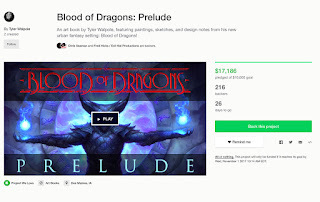 In Tyler's own words, "Over the last few years, between freelance illustration gigs, I have been slowly developing my own urban-fantasy story setting, called: Blood of Dragons. 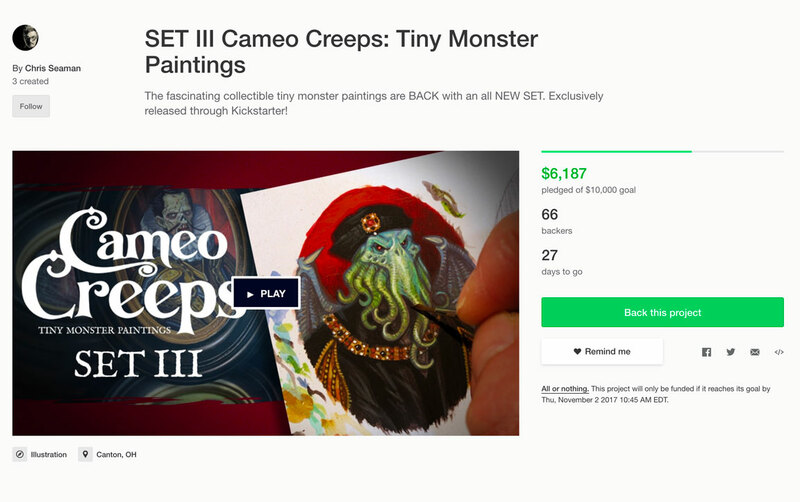 And now, I’m asking your help to bring the first art book in the series into the world." Tyler is an amazing guy and I love his work. He has been knocking it out of the part with his Blood of Dragons work and it is so exciting to finally see it coming together. You need to see what he is doing, so head on over to Tyler's campaign and be a part of the world he is building!